Utilizing data modeling to pinpoint success factors and discover at-risk correlations can help you predict who will likely succeed, who will need help to do so. Your retention data is one of the best indicators your team has to determine which students can be the most successful at your institution. But too many times enrollment marketers and admissions teams don’t have access to this information to tie it to the kinds of students they should be recruiting. How you recruit should determine how well you retain. And how you retain should absolutely help determine how you recruit. Utilizing retention data to shape your future classes and cohorts is mutually beneficial for both you and your students. Utilizing data modeling to pinpoint success factors and discover at-risk correlations can help you predict who will likely succeed, who will need help to do so, and who would be better suited for a different path or experience. It saves time and money for you and your prospective students, but also ensures an ideal fit for both. For this approach to be effective, retention data cannot work in a silo. Rather, data must be visible across the teams that are responsible for finding, enrolling, retaining, and teaching students. Transparency can help your institution identify, attract and support more students. Of the 1600+ colleges and universities studied in The Cost of College Attrition report, they collectively lost revenue due to attrition in an amount close to $16.5 billion. It simply costs too much to recruit a student you ultimately don’t retain. Recruitment and retention efforts need to go hand-in-hand. 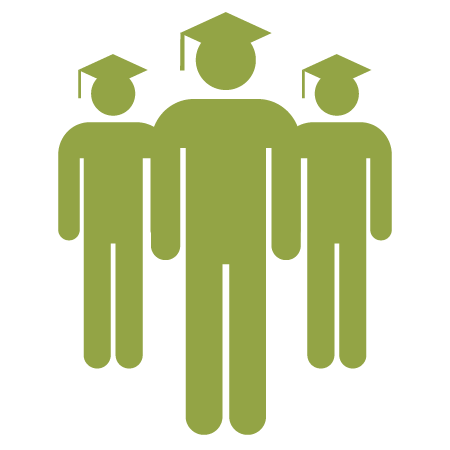 Colleges and universities that shape their admittance requirements in alignment with their retention data have a higher propensity for matching students and programs. We see them recruiting the kinds of students they can retain, and retaining the students they worked so hard and spent so much on to recruit.